Confidence. I’ve never had an overabundance of it. Some friends and family may beg to differ with me. That’s because when I need to, I can muster up enough courage to get through the task at hand. I suppose that’s all confidence really is, anyway; the feeling that something is more important than fear. More important than general confidence in ourselves is confidence in what the Lord has provided for us. A few weeks ago, I went to see Bobby McFerrin in concert. He has been one of my favorite musicians since I was a child. In fact, when I was very little, my mother played his hit song, “Don’t Worry Be Happy,” for me all the time. I used to hop up on our coffee table and dance when I heard it. Apparently, I felt the song merited a few more inches of height than I had at that age. He passed through Nashville and I wouldn’t let anything keep me from that concert. Not work, not money, not fatigue, nothing. I was willing to dip into my emergency savings for such an occasion as this. Music is sometimes an emergency, after all. I bought a ticket for a seat as close to the stage as I could be. I wanted to see him. I wanted to feel his energy, his spirit. I wanted to be immersed. The concert began and as the music washed over my weary soul, I felt refreshed. I felt inspired. I felt alive. And then, Mr. McFerrin hopped off the stage and stood a few feet from me. My breath caught in my chest, and my heart raced. Somewhere deep inside, I knew what was coming. He gestured his microphone to the crowd looking for a volunteer to improvise. I froze. This was my chance! And I watched it pass me by. All I had to do was reach out and sing, and instead I let fear stop me in my tracks. Shortly after, I felt regret, and then a twinge of anger, and finally guilt. I gave myself a thorough verbal lashing on the car ride home. I was disobedient to what God called me to do. I believed the fear-filled voice inside that said, “You can’t do that.” Which ultimately made me a liar because I then repeated to myself internally, “You can’t do that.” He gave me the resources, the training, and the ability to do it, and I doubted it. Rather than let that moment of paralyzed disobedience fester into permanent regret, I decided to use it as a lesson and a springboard into a new way of behaving. God gives us such wonderful gifts to use. He calls us to use them for His glory. But, He can’t shine through our gifts unless we develop the confidence to use them when the opportunity presents itself. 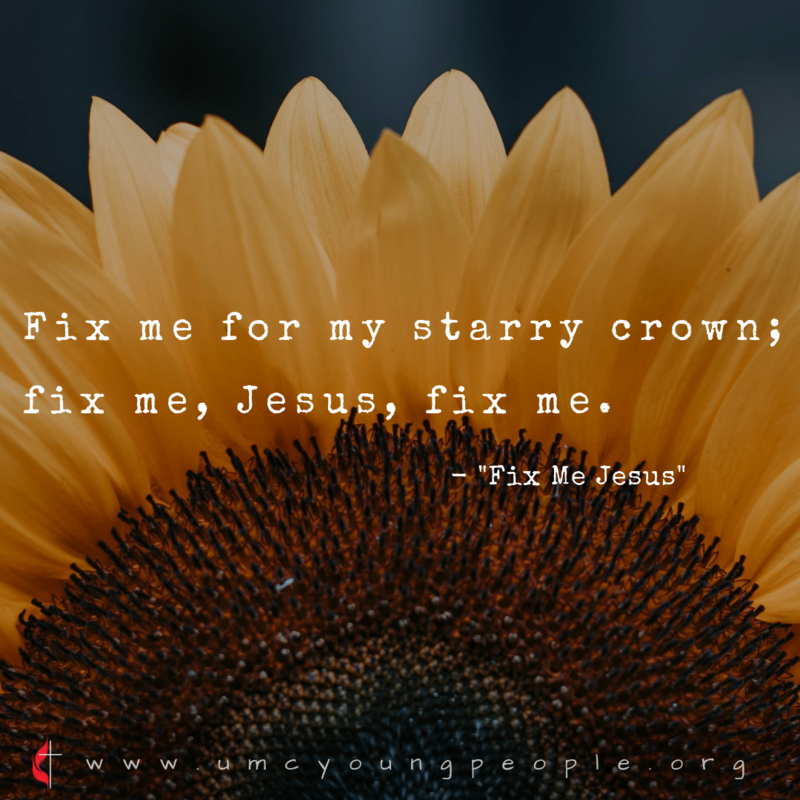 The hymn, “Fix me Jesus,” helps gently remind me that I am incomplete, imperfect, and that is OK. It is OK as long as I ask God to help fix my heart, soul, mind, and actions so they are pleasing to Him. 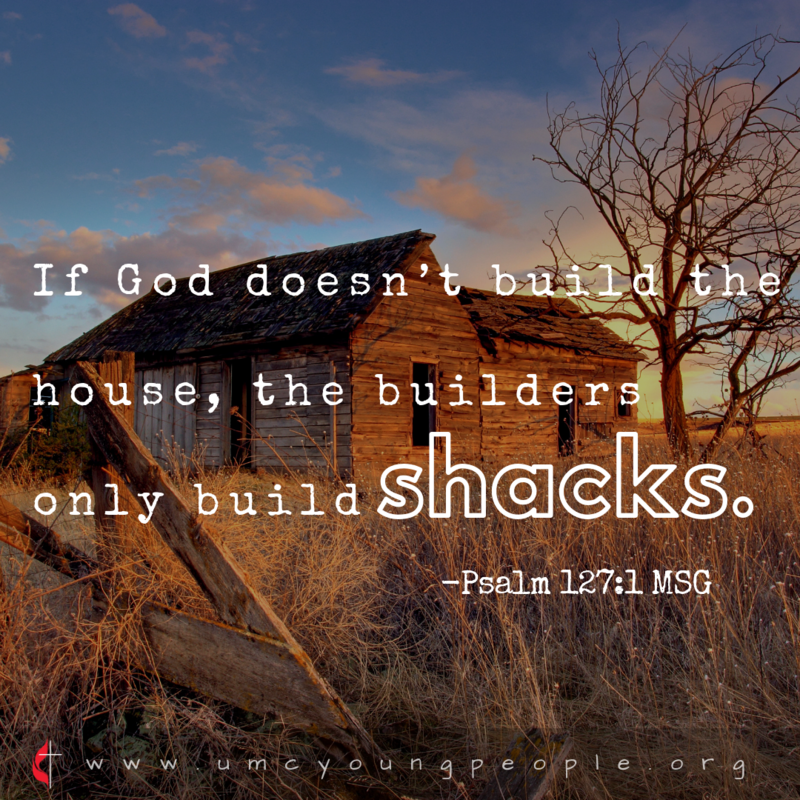 Jesus helps “fix us” for His Kingdom daily. Confidence is a process. Be kind to yourself during that process. But don’t accept anything less than what is true of your abilities. Whatever you do, don’t listen to the voice that says, “I can’t.” Take an honest inventory of your talents. If you are capable, the opportunity arises, and you hear that still small voice calling you to action – do it. I made a promise to myself and God after my experience at the concert. In the future, I agreed to jump in and sing if I am asked/offered no matter how uncomfortable or scared I feel. I will trust the facts instead of the feelings. I encourage you to make a similar agreement with yourself. Don’t be disobedient in your hesitation. Be confident in the gifts God has given you. And if you fall (as children often do that are learning)? Well then, use it as a lesson. Get back up, shake it off, learn from it, and be ready to be confident again as God has called all His children to be.